Bitcoin startup Nuovocard which is set to officially launch at the end of September – is an innovative POS solution which aims to speed up the process of buying, selling and trading goods in a retail environment with a simple debit card. The card is the first of a kind for transactions as customers can make payments offline with no internet connection by either swiping or scanning the magnetic card which comes with a handy QR code across any android or IOS device to make payment. One of the main problems with integrating Bitcoin payments within a brick and mortar setting is the speed and queue which usually forms behind the customer fiddling with their smartphone. 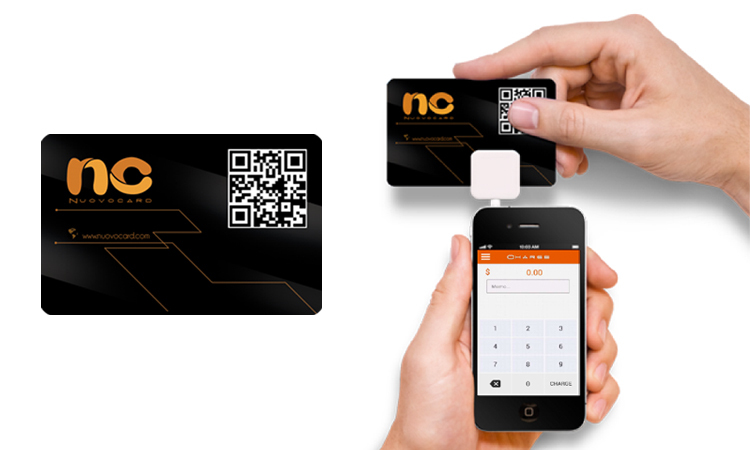 Nuovocard solves this problem as the customer can quickly hand the card to the merchant who will then swipe it and then prompt the customer to enter the pin or simply scan the QR code. What adds to the speed of Nuovocard is that the system ensures immediate conversions & payouts to retailers with support from local exchanges world over. This means that merchants can be rest assured that the fluctuating Bitcoin market price will not affect the sale price. The backend system processes transactions using a Google API with a water tight SSL connection with AES encryption. “Security and safeguarding customers transactions is the focus of NuovoCard’s design” said the CEO. Merchants can download the Nuovocard app at the end of September either at the Google or Apple store and the official Nuovocard website. Anyone wishing to use the card straight away can sign up anonymously and print a QR code version of the card. NuovoCard will be an irresistible POS option for all merchants looking to accept Bitcoin due to the 0.5% transaction fee. Anyone wishing to test the security of NuovoCard can take part in the hacking challenge which has a very attractive $2800 bounty. Follow CoinSpectator on Twitter @coinspectator for more Bitcoin news.